The IRS destroyed 422 tapes likely containing emails related to the 2013 targeting scandal eight months after the House Oversight and Government Reform Committee subpoenaed them according to Treasury Inspector General for Tax Administration (TIGTA) testimony Wednesday. "Imagine if this was all reversed. Imagine if you were on the receiving end of an inquiry from the IRS, and they asked you for documents and they issued you a subpoena, and you destroyed the evidence. What would happen to you? You would be prosecuted to the fullest. You’d end up in jail. You probably should," committee chairman Rep. Jason Chaffetz (R., Utah) said in his opening remarks. "That’s what we’re dealing with here." Wednesday’s hearing was the 22nd time the Committee has held concerning the IRS singling out conservative organizations applying for tax-exempt status. J. Russell George, the treasury inspector general for tax administration, said in his testimony that the 422 tapes likely contained IRS Director of the Exempt Organizations Unit Lois Lerner’s emails and they "most likely will never be recovered." "These 422 tapes were magnetically erased around March 4, 2014. 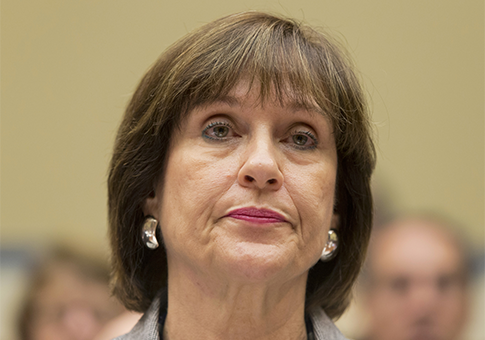 As was printed out, this was one month after the IRS realized they were missing from Louis Learner and about eight months after this committee requested all documents sent by, received by or copied to Ms. Lerner," George said. Rep. Elijah Cummings (D., Md), the committee’s ranking member, criticized the fact that the IRS was still being investigated. "There is still no evidence to support Republican allegations that the white house was involved, that Ms. Lerner ordered the targeting of conservative groups for political reasons or that she intentionally crashed her computer to conceal these emails," Cummings said. Chaffetz is not taking the estimated 24,000 lost emails lightly. "It’s a destruction of evidence," Chaffetz said. "You add this all in combination, it just defies any sense of logic. It gets to the point where it truly gets unbelievable. Somebody has to be held accountable." The IRS also came under fire Wednesday for awarding $19 million in contracts to corporations with felony convictions and unpaid back taxes. Robert Davis Edelman is a Washington Free Beacon summer intern.